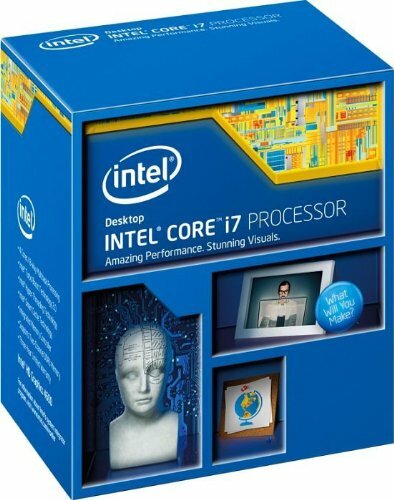 CPU: The i7-4790K can handle anything I throw at it and I know from experience that you don't want any unreliable CPU. If I upgrade any of the other parts in the future I want to be sure that my CPU will be able to handle it for some time. When it comes to the core of the PC I don't want to cheap out. Cooler: The H100i was terrible to install. 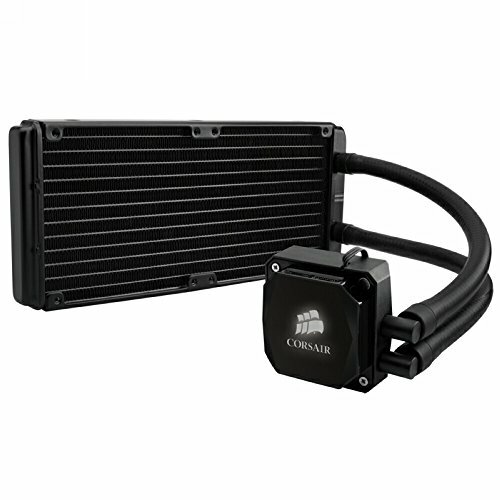 It wasn't my first time installing a Corsair cooler but somehow I couldn't get that stupid screw in the radiator holes. Also I made the mistake of screwing the Cooler on at a 90 degree angle which means that I now can't plug in the Corsair Link cable. When I finished the assembly at 1:30 AM I couldn't be bothered to change it though. I will do that sooner or later. MOBO: The MSI Gaming 5 works fine. Only problem in the beginning: The Ethernet Killer management system does not work until you install the driver. Without an optical drive bay the cd that comes with the motherboard is no good and since you don't have any internet otherwise I was screwed. Luckily my trusty old Laptop was able to provide the remedy here. Frankly, I don't know enough about motherboards to give you a good review. As far as I can tell all parts are high quality, look good and the board can handle SLI so I can buy a second GTX 970 anytime without having to upgrade it. Memory: The Kingston HyperX perform the same way as the more expensive Corsair Vengeance. This is the biggest reason why I chose them. I also think they work really nice with the colour theme of the case. Storage: As you may notice in the pictures the HDD is still not plugged in. I will have to buy a SATA cable since only 2 came with the PSU and therefore I chose to first connect the two SSDs. Speaking of the SSDs I really like the look of the 850EVO. 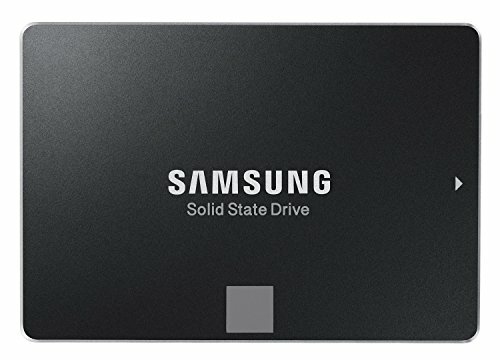 These drives will reduce your loading times and the boot time of the computer. The reason why I got two is that the 120GB is dedicated to running my OS as well as any programs that I use daily. 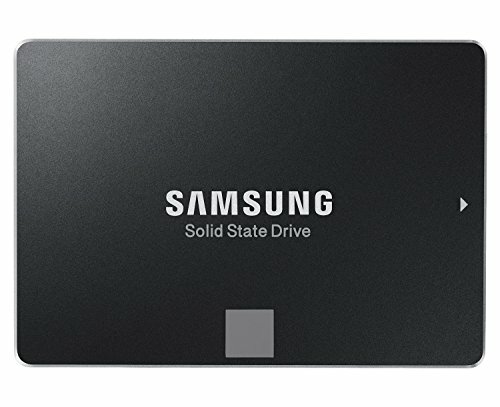 The 250GB SSD will be the storage unit for all of my games. 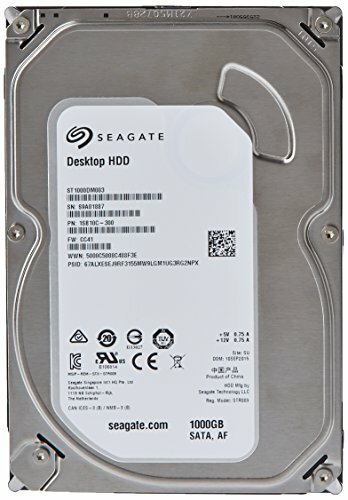 The 1 TB HDD will be for music and videos. One thing I really like about this setup is the look inside the case as well as the optimisation of loading speeds for an improved gaming experience. GPU: The MSI GTX970 gives you the most bang for the buck currently and it's an outstanding graphics card. It also works really well with the colour theme of the case. I chose the card mainly because of the great reviews and good benchmarks it received. Don't see a reason to spend an extra $250 for an improvements of 5fps. Case: I have thought about using roughly 100 different cases. In the end I wanted a windowed case that is silent and provides good cable management for a nice looking interior. I am really happy with the NZXT H440. It has the perfect size and the components feel like they are very well made. Installation was made very easy and I like how the covered PSU complements the large window. The airflow inside the case works great and the dust filters are able to do their job as well. OS: Many people hate Windows 10 but I think it's going to be the future so why not go with it. I loved Windows 7 Ultimate but in the end you gotta go with the times. Windows 10 is the closest thing in a modern package. Should you copy this build or parts of it make sure that you get Windows on a USB flash drive since you don't have an optical drive. One of the issues I had when downloading the first drivers was that a ton of malware was downloaded with them. My trusty Kaspersky Antivirus took care of it promptly and the rest was fixed by quick google searches. Monitor: I got the monitor because for once I just wanted to find out how it is to game at the highest fps out there and to be able to actually see them with a 144Hz monitor. The colour and saturation ratings for this thing are of the charts and I am very happy with it so far. 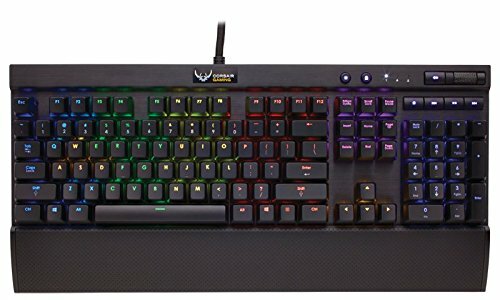 Keyboard: Honestly I got the Corsair K70 RGB because I was curious about cherry mx switches. I really like it but I advise any gamer against choosing any of the more flashing lighting options for it. They will just irritate you while you are gaming. I also dislike the ugly new corsair gaming logo they put on the keyboard but what can you do. I wanted the switches and I wanted the option to choose a colour for the keys whilst having 100% anti ghosting. Mission accomplished, overall I couldn't be happier with the performance although I still think I am just as good with the $15 keyboard from logitech that I had before. Mouse: I am really happy with the mouse although I don't really use the fancier options it has. A friend of mine has the Logitech G402 which would fit better in big hands such as mine. The software is easy to use and the G502 still feels great and delivers good results. I also have the Deathadder 2013 but the G502 feels much better and doesn't tire out the hand as much (god I sound like a wimp. I just want to say the mouse is incredibly comfortable). Headphones: The HyperX Cloud II are just amazing. I am able to pinpoint the location of players just by sound from far away. They also help tuning out my girlfriend when she's pouting because I spend my time gaming after work. THANK YOU!!! (haha) In all seriousness I couldn't be happier with it. Sleeved cables: I really like the custom sleeved cable for my 24 pin connector. In future I might put in more and more of those but for the time being they were sold out. LED sleeve: Wasn't expensive and works just fine. It's easy to install as well. Cable management: If you want more pictures I will provide them soon. I have obviously improved the cable management since I took the picture I posted here. Conclusion: So far I am very happy with all of the parts I purchased and with the look of the case in general. I can honestly recommend this build to anyone who doesn't want to spend a ridiculously amount of money on the rig but still wants a sleek looking build that can max out all of the current games (by ridiculous I mean you Dual SLI GTX 980 Ti people, although I envy you a little). Anyone can build this rig and I hope some of you will take it as inspiration. Final thoughts: I don't know about the name choice "Project Ryujin". Ryujin is the Japanese god of dragons and because I got a couple of MSI components I thought it fits. I didn't want to just call it "HEY GUYS LOOK AT MY COMPUTER" but this name feels nerdy "af". Also I have a different desk than the comfortable in the picture up top. I may post pictures soon. Anyways thanks for reading now I am going to have some fun with this thing. The i7-4790K can handle anything I throw at it and I know from experience that you don't want any unreliable CPU. If I upgrade any of the other parts in the future I want to be sure that my CPU will be able to handle it for some time. When it comes to the core of the PC I don't want to cheap out. The H100i was terrible to install. 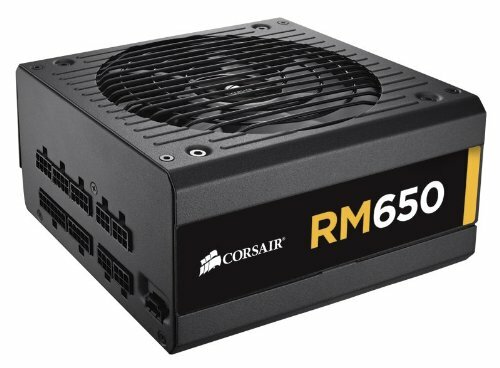 It wasn't my first time installing a Corsair cooler but somehow I couldn't get that stupid screw in the radiator holes. Also I made the mistake of screwing the Cooler on at a 90 degree angle which means that I now can't plug in the Corsair Link cable. The cooler works great though. The MSI Gaming 5 works great. Only problem in the beginning: The Ethernet Killer management system does not work until you install the driver. Without an optical drive bay the cd that comes with the motherboard is no good if you don't have an optical drive in your build. The Kingston HyperX perform the same way as the more expensive Corsair Vengeance. This is the biggest reason why I chose them. I also really like the colour. I have thought about using roughly 100 different cases. In the end I wanted a windowed case that is silent and provides good cable management for a nice looking interior. I am really happy with the NZXT H440. It has the perfect size and the components feel like they are very well made. Installation was made very easy and I like how the covered PSU complements the large window. The airflow inside the case works great and the dust filters are able to do their job as well. I got the monitor because for once I just wanted to find out how it is to game at the highest fps out there and to be able to actually see them with a 144Hz monitor. The colour and saturation ratings for this thing are of the charts and I am very happy with it so far. Honestly I got the Corsair K70 RGB because I was curious about cherry mx switches. I really like it but I advise any gamer against choosing any of the more flashing lighting options for it. They will just irritate you while you are gaming. I also dislike the ugly new corsair gaming logo they put on the keyboard but what can you do. I wanted the switches and I wanted the option to choose a colour for the keys whilst having 100% anti ghosting. Mission accomplished, overall I couldn't be happier with the performance although I still think I am just as good with the $15 keyboard from logitech that I had before. I think the Powercolor R9 390 for around the same price is bang for buck. WIth 8GB of vram, 'twlll come useful for 1440/2160P gaming. Yeah I'm one of those idiots that only trust Nvidia... Don't know why but I think their marketing has worked really well on me despite having several issues with drivers on my old PC. What I didn't like about the R9 390 was the power consumption though. AMD haven't worked that out yet unfortunately. I checked a review by techpowerup and noticed that idling the PC R9 390 used 1W more that the GTX 970 however underload it used considerably more. Now here's my theory. I think it's to do with how AMD's memory clock works...on my 290x when idling clock speed is 150Mhz... if I move an open window or play a video it jumps to its max clock of 1250Mhz almost instantly. On the GTX970 or perhaps Nvidia cards, does it ramp up or go straight to it max clock speed? On my card (GTX 970) the clock speed jumped to 1100Mhz when starting a youtube vid or sth similar. After a second (still watching the vid) it's back down to 135Mhz. However, this also depends on how you run it. generally I have my CPU and GPU on silent mode. Even when gaming the fans will rarely turn on. I had the same problem on my MSI mother board, I figured they would be smart and have an old driver version installed so you could at least connect to the internet, but I was wrong. I was trouble shooting for an hour until I realized what the problem was. The only thing I don't like about my Gaming5 is the ethernet controller. I had a ton of problems when I upgraded to Win10 from Win8.1 with all kinds of driver issues. In the build that I just finished putting together last night and am currently OCing, I specifically chose a MoBo that had intel ethernet so that this wouldn't be an issue. i had that same issue. What i do with killer network is that i download the latest one from their site which is newer than the one on MSI site. That solve my problem..
Ahh ok, can't wait so see! Great build ! +1. How well does that monitor perform? Would you recommend it?